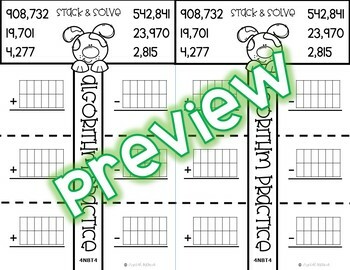 These 4NBT4 Addition and Subtraction of Multi-Digit Numbers activities are LOW PREP and great for interactive notebooks! 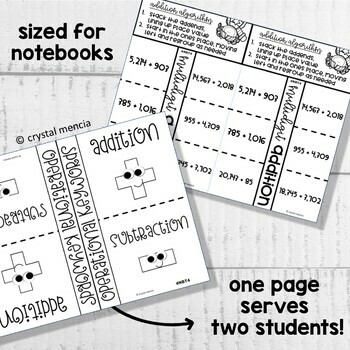 Each blackline master included in this resource reduces paper consumption by providing materials for at least two (2) students and are sized perfectly for composition notebook use. 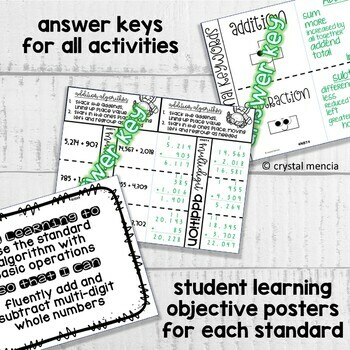 4.NBT.B.4 - Fluently add and subtract multi-digit whole numbers using the standard algorithm. 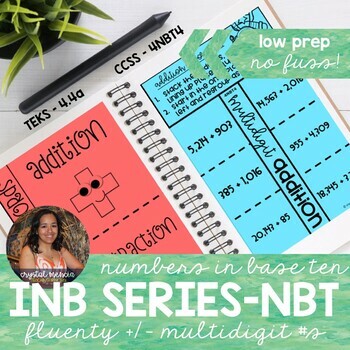 By purchasing now, you are guaranteed to all current and future 4NBT4 Add & Subtract MultiDigit Numbers INB Series created by Crystal Mencia (First In Fifth) at no additional cost!